Everyone gathers around the table for meals, which is why this is a space you want to feel proud of — no matter the size. 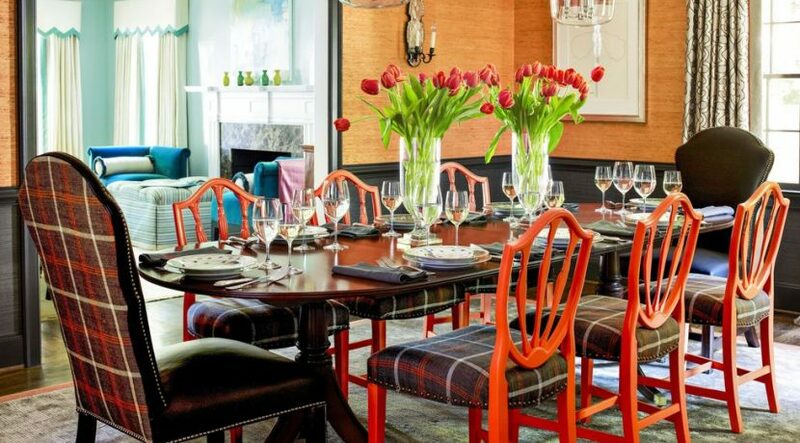 The easiest way to spruce up your dining room based on your mood: Create a neutral design, then keep an assortment of colorful runners around to add a pop of color instantly. Even though the table and light fixtures steal the show, it’s the playful window treatments that bring the space to life and make it memorable. Just because your dining room is on the cozier side doesn’t mean you have to skip on a bold sconce. The gold globe pendant will make a statement flying solo — and would look just as good as a trio over a larger dining room table or island. 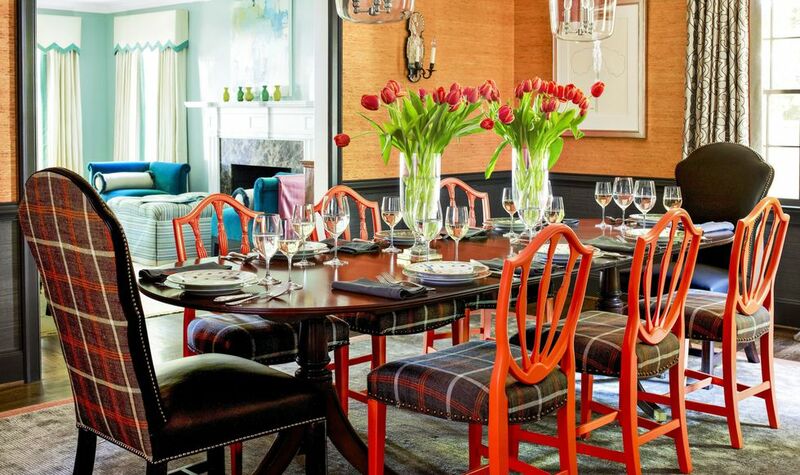 Gone are the days of matchy-matchy dining sets. Find a table you love, then surround it with complimentary chair pairings like ornate cane and plush upholstery. Create a clean look with transparent dining chairs (wipeable, so great for kids!). Then mix in a variety of textures, like matte-painted walls, a polished table and earthy jute blinds. Your breakfast table gets extra charming with the combination of metal bistro-style chairs and farm-style vintage seating. Fill a kitchen corner with a low profile couch (look for one covered in an easy-to-clean fabric like Sunbrella), then nestle in a square table. Genius! Instead of using the traditional dining room, escape to a more casual sunroom or screened-in seating area for a fresh approach to the dinner party. Guests will feel right at home in the relaxed space! The always-in-style combo of black and white acts as a great starting palette. From there, pop in playful accents like green and yellow. Hang a larger-than-life piece of art. Bonus tip: Hang art low so that it will be at eye-level when your guests are sitting.